Our calibration services are performed in a state of the art lab and all instruments used conform to ASME B40.100 and are traceable to N.I.S.T. The gauges are calibrated to an accuracy of +/- .02 PSID decending. If you are sending in more than one gauge and want to pay online, change the quantity to the number of gauges you are sending in. PLEASE FILL OUT THE DOWNLOADABLE CALIBRATION FORM BELOW WHEN YOU ORDER AND PAY FOR CALIBRATION SERVICES. THIS FORM CAN THEN BE EMAILED OR FAXED TO US. NOTE: You can either pay for this service online by adding this item to your online cart and proceeding to pay for it, or you can include your credit card infomation on the "Calibration Form" below. If you pay online you still need to fill out this form and either fax or email it to us. On the calibration form you can select "Repair As Needed" or "Call With Estimate For Repairs." 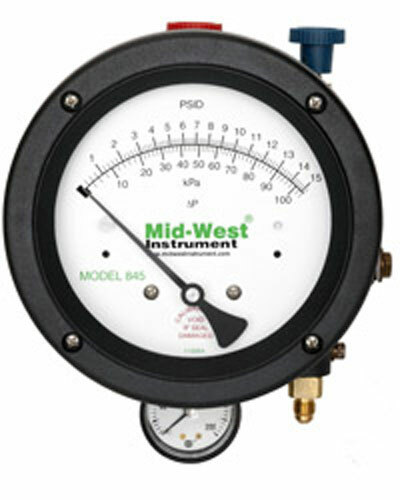 3-5 business day turn around applies to gauges that do not require repairs and does not include shipping time to us or the return shipping time. Repairs may add more time to completion depending on what is required to fix it and how long it takes to get your approval for the repairs. Select "Repair as Needed" for the quickest turn around. Backflow Parts USA is not resposible for damage caused in the shipping process.